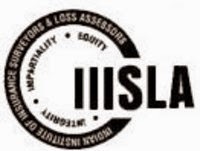 The most awaited Insurance Laws (Amendment) Bill-2008, is now being opposed by members of the Indian Institute of Insurance Surveyors and Loss Assessors (IIISLA). Opposing the proposed amendments to Section 64UM of the Insurance Act and the Insurance Laws (Amendment) Bill- 2008, leader of the surveyors, Mr. Bharat Dharmashi told reporters that this will promote unhealthy practices in the industry. Mr. Dharmashi explained that if an insured property suffers losses of more than Rs 20,000, it needs to be surveyed by an independent surveyor licenced by the Insurance Regulatory and Development Authority (IRDA). But, private insurers without bothering regulator's regulations, hire unqualified agents, he added. Another surveyor, Mr. M.N. Hegde, said if the proposed insurance bill is passed, it would affect about 80,000 qualified surveyors across the country.